Everyone loves subscription boxes don't they? They're like a little present each month and make a bad day so much better. 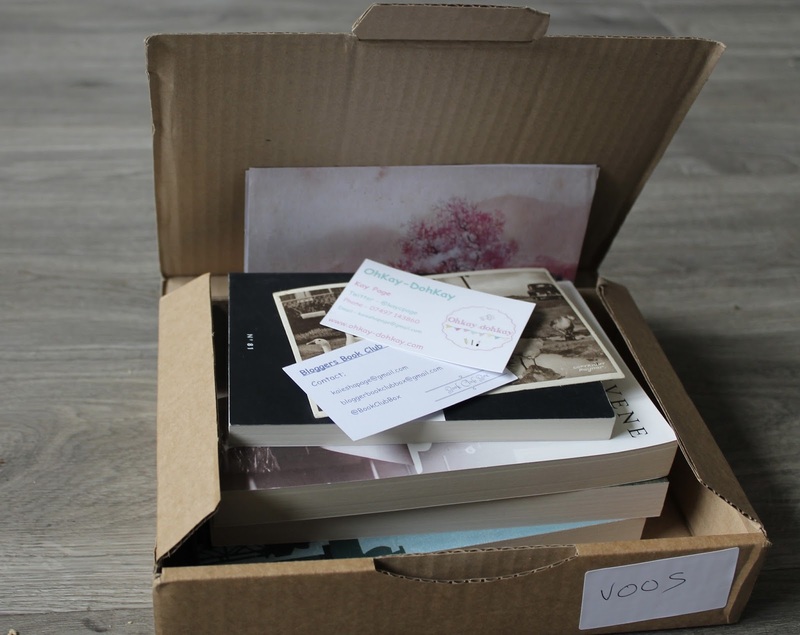 I'm here to introduce the Bloggers Book Club Box, a box that is the brainchild of Kay from OhKay-DoKay and it has some very unique features not found with any other box. Each box has a different theme to it and the books are fitting to that theme, they're worth £25 and only costs £16 including post and packaging. The box is quite plain on the outside, but the inside is a great wonderland of many things. Being greeted with a little envelope on top of the box was most surprising, and in it was a thank you notice, business cards and little things that fit the Wartime/50s theme of the box such as a postcard from back in those days, a few stamps, a couple of doll's accessories - things that people of the time would have loved. Along with all of those lovely timely things you get four books, which is definitely great value for money, as one of the books can be sold for £10 each, and the box gives you four books for just over that. The books included in April's box were Louise Levene's A Vision of Loveliness and Lady Susan by Jane Austen. I haven't read the books yet but as soon as I get the chance to, I will. The Bloggers Book Club Box is an amazing idea and the themes of each box make it very unique compared to other boxes. I hope you all consider signing up to the box book lovers, it's definitely money well spent. You can find out more info and sign up to the box here. Follow Kay on Twitter to see updates from her awesome blog. Don't forget to follow me on Twitter while you're there, to keep up with what I'm posting on here and about life in general. *PR samples sent. Opinions are completely my own.